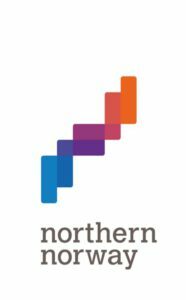 Tourism is growing in the northern hemisphere. As numbers grows in both small and sometimes remote areas that are new to tourism, as well as in more urban communities, there may be a need to pay attention to cultural and social interactions between visitors and locals. AECO – the Association of Arctic Expedition Cruise Operators – promotes best practices among most of the expedition cruise operators who provide tourism to the North Atlantic and High Arctic regions. AECO’s objectives are designed to ensure environmentallyfriendly, safe and considerate tourism. The association and its members strive to set the highest possible operational standards. Included in these objectives are the pledge to ensure value and sustainability in the interaction between the operators and their guest, and with the communities visited. 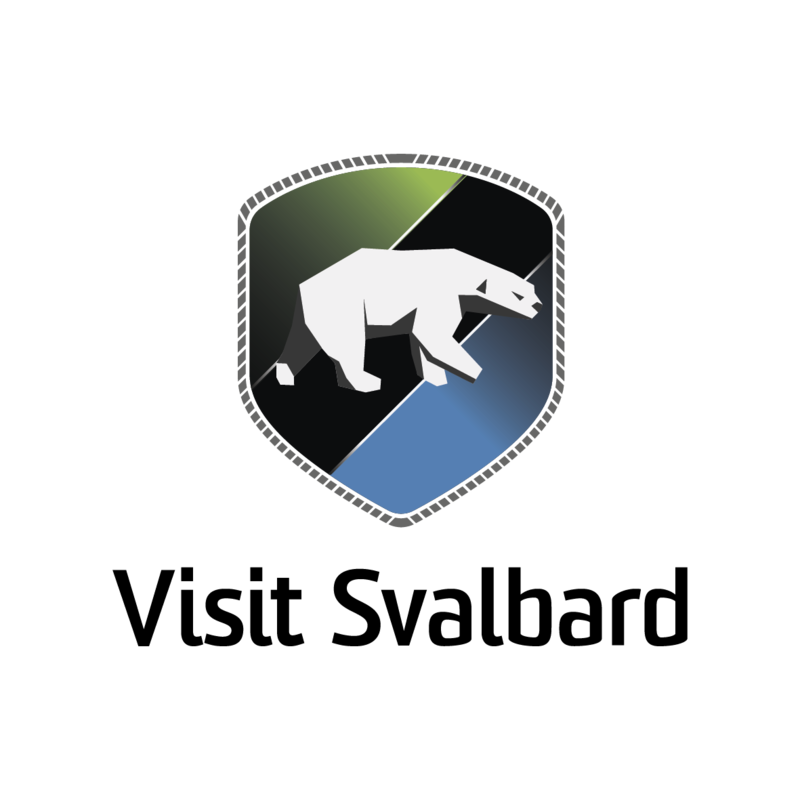 One of several initiatives taken by AECO is the development of community guidelines for visitors to the North Atlantic and High Arctic regions. 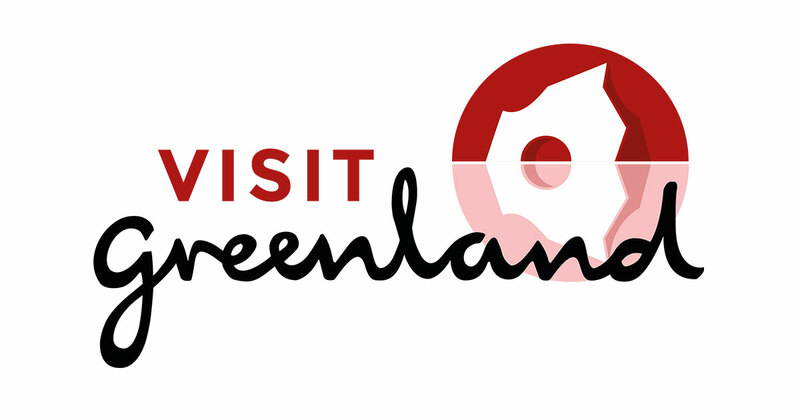 This work has been undertaken in cooperation with Visit Greenland, Visit Svalbard, Northern Norway Tourist Board and Cruise Iceland, with financial support from the Nordic Atlantic Cooperation. These guidelines are general and apply in most North Atlantic and High Arctic communities, and will be implemented in the tourism work by all partners, as far as possible. 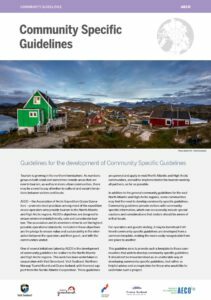 In addition to the general community guidelines for the vast North Atlantic and High Arctic regions, some communities may find the need to develop community specific guidelines. Community guidelines provide visitors with communityspecific information, which can occasionally include special cautions and considerations that visitors should be aware of in that locale. For operators and guests visiting, it may be beneficial if different community specific guidelines are developed from a common template, making the more easily recognizable from one place to another. This guideline aims to provide such a template to those communities that wish to develop community specific guidelines. It should not be misunderstood as an unalterable way of developing community specific guidelines, but rather as helpful advice and an inspiration for those who would like to undertake such a project. When developing community specific guidelines, it is recommended to involve local stakeholders that are engaged in tourism and others that might have an interest or a say. In addition, it is recommended to consult stakeholders that represent and cater to visiting guests. e.g. tour operators or tourism associations. If there is a local tourist board or tourist office, this might be the right entity to take the lead in such a process. But it is also recommended to consider involving community councils. It is up to each community to decide the level of work and resources to use in such a project, but developing community specific guidelines do not need to be very resource intensive. When the text is agreed and ready, one can employ professionals to design and layout the guidelines. But much can also be done without such involvement. As introduction, a large representative picture of the community. Remember to include the name of the photographer, if possible. A heading to the introductory text, perhaps something that is descriptive for this community. Some introductory text presenting some general information about the area and the people living there. In addition to the number of inhabitants, traditions, ways of life and history, think about the questions visitors may have. What would you like visitors to know about your community? A map of the area visitors are likely to walk around in. On this map, indicate the places of significance and interest. This may be areas visitors should stay away from – e.g. because they are vulnerable, protected, or there are other reasons not to access – and areas that you think visitors would be interested in seeing – e.g. attractions, viewpoints, nature, and other phenomena, and installations of interest. This does not need to be a complete “tourist map,” but may also be an opportunity to point visitors in the direction of shops, markets, museums, etc., especially of the community does not have an additional tourist map for visitors. Guidelines – how you ask travelers to behave when visiting your community. Normal issues are covered by the general community guidelines, but if there are specific considerations or behavior you ask from your visitors, this is an opportunity to list these. Some communities might have limited supplies, e.g. fresh food. If you want the visitors to consider what they might buy in local shops, please include this information. Also, if the community has challenges in handling or disposing of garbage, the guidelines could include information encouraging visitors to bring back their own garbage whenever possible. Some more pictures as illustrations may be helpful. Descriptive text or captions are also helpful. A “helpful tips” section of the guidelines can be a way of directing guest’s attention to something that is not on the map or in the guidelines, such as events, ceremonies, special traditions and so forth. Include who created or is responsible for the guidelines along with a contact address for questions and inputs. An example how Community Specific Guidelines could be set up can be downloaded here.